This entry was posted in Blog, General, Health, Health Care, Health Insurance Blog on 06/28/2017 by Alejandra Vazquez. The summer can be a great time for families and kids to enjoy the outdoors and everything it has to offer. Whether you will be enjoying the water or hiking, protecting yourself from the sun should be your first priority. 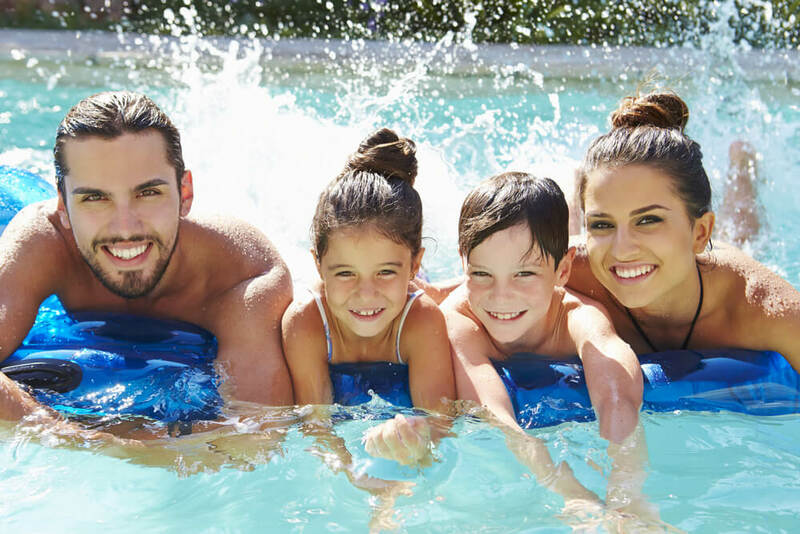 Much like looking into different types of health insurance, protecting your family’s health is something that shouldn’t be downplayed during the summer months. Here are four ways your family won’t get burned by the sun with proper sun protection in place. While you might be equipped for the sun in your back yard, the sun’s rays may be stronger out of state in the mountains,. Bring along high SPF sunscreen rather than suntan lotion and reapply throughout the day. Give your family opportunities for shade and indoor breaks from the sun. Don’t forget that if your family has been cooped up indoors at work or school right up to your vacation, the sun’s effects might be stronger. Keep in mind what you and your family might be doing outside. If you will be hiking or taking part in sporting activities, having water available to combat the summer heat is key. If you are in a location that has mosquitoes, apply bug repellent in addition to sunscreen for extra protection. If your family will be in a pool or by the water, find water-resistant sunscreen. If you aren’t sure what sunscreen might be best for your kids’ skin type or yours, ask your doctor or pediatrician for recommendations. Heat stroke from the sun can lead to fainting and even a trip to the emergency room if you aren’t careful. This can occur more often in children and the elderly, so be sure to provide shade and water to those who need it the most. Understanding the risks and warning signs of heat stroke caused by sun exposure can help you protect yourself and your family. If your kids won’t be under your supervision at all times this summer, sending them out with the proper protection will keep them safe even without your watchful eye. Your kids should have ready access to sunscreen and water at all times. Packing hats and long-sleeved shirts is a good idea as well. If your child will be attending summer camp or a trip with a friend, send along their health insurance information so that there won’t be any questions if emergencies arise, either from the summer heat or otherwise. As a parent, it is your job to keep your family safe, especially in extreme situations such as prolonged sun exposure. Another way to keep your family protected is to review quotes for health insurance to be rest assured that your family has the best care for their needs. With different types of health insurance on offer, you can pick a plan that will keep your family safe overall. Safety might not be a fun topic for your kids and family, but if you can add in some strategic planning to protect them from the sun, small emergencies won’t turn into major issues. To learn more about health insurance plans available through Freeway Insurance, request a free health insurance quote online or call (888) 443-4662. We’re available to answer your questions about insurance and help you find insurance that fits your budget.